You’re tired, you’re out of breath, and your joints hurt. It feels like you just ran a marathon with weights strapped all over your body. Only you haven’t just crossed a finish line.Instead, you are lying in your bed wishing you could get up to pick your kids up from school. Lupus is a chronic autoimmune disease that can damage any part of the body, from your skin to your organs to your joints. Autoimmune diseases prevent your body from being able to tell the difference between foreign invaders and healthy tissue. Your body then creates antibodies that attack and destroy healthy tissue, causing damage, inflammation, and pain. Lupus is most commonin women ages 15-44, and women of color are two to three times more likely to develop lupus* than caucasians. It is possible for men, teenageers, and children to develop lupus, too. It is estimated that at least 1.5 million Americans have lupus.Since there haven’t been any large-scale studies to show the actual number of Americans with lupus, that number could be substantially higher. People who have lupus do not always exhibit the same signs and symptoms. * This is partly because signs and symptoms can come on suddenly or slowly, be mild or severe, and be temporary or permanent. Typically, people with lupus experience episodes where signs and symptoms worsen before improving or disappearing for a while. Joint pain, stiffness, and swelling. Butterfly-shaped rash on the face. Skin lesions that appear or worsen with sun exposure. Fingers and toes that turn white or blue when cold or under stress. Headaches, confusion, and memory loss. It is hard to be sure what causes some people to develop lupus. Many scientists think that lupus develops* in response to factors both inside and outside of the body, such as genetics, hormones, and environment. Diagnosing lupus disease* can be extremely difficult because symptoms vary from person to person. There is no one test to diagnose lupus.Rather, a combination of tests, symptoms, and physical examinations often leads to a diagnosis. Want to get checked for lupus? 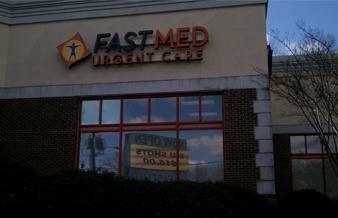 Each of FastMed’s 85 locations in North Carolina and Arizona.has on-site labs and offers physical examinations. With FastMed, you won’t have to wait for a healthcare appointment beforefinding out if you have lupus. Our walk-in clinics are open 365 days a year with extended hours. Imaging tests, such as x-rays and echocardiograms. A biopsy of your kidneys to see if they have been damaged. Unfortunately, there is no known cure for lupus. However, there are treatments and lifestyle changes that can help you manage your symptoms and live a better life. Treatment for lupus (systemic lupus erythematosus or SLE), depends on the type and severity of your symptoms. Typically, the best treatment approach is one that is tailored to your specific condition. Treatment can help to ease your symptoms and prevent organ damage and other health issues. If you are experiencing any of the symptoms of lupus disease, visit a FastMed location near you. The path to diagnosis starts here. Our medical professionals care about your well being.So whether it is taking initial blood work or setting you up with a specialist appointment, we’ll make sure you get the treatment you deserve.